I hope everyone had a happy Thanksgiving. 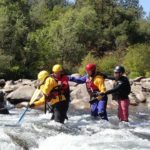 As I’ve said before, the opportunity we have at Sierra Rescue to work in Yosemite National Park is amazing, and it is one…..
Sierra Rescue is proud to offer California State Fire Marshal Low Angle Rope Rescue Operations & River and Flood Water Rescue courses! These courses are accredited by the California State….. 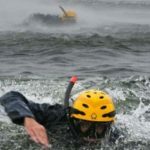 Rescue Swimmer – Basic: What’s this all about? Abigail Polsby, Sierra Rescue/Rescue 3 West’s lead Rescue Swimmer Instructor, is teaching an Rescue Swimmer course in Elk Grove, CA! 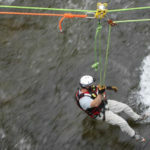 The Rescue Swimmer Basic is the core of the new…..